Ontario may be best known for its canoe routes, but that doesn't mean its trails should be overlooked by hikers. Sure, its highest mountain is only 693 metres, paling in comparison to peaks found in Yukon, B.C. 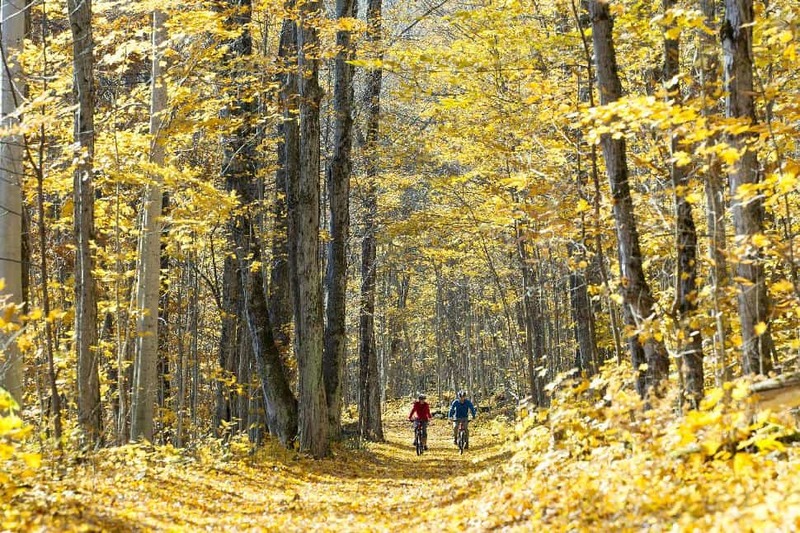 and Alberta—but Ontario boasts some of Canada's longest trails, set in picturesque environments. After all, gentler landscapes offer multi-night hikers 100 km, 500 km and 800 km-plus trails. And just because you're not in the alpine doesn't mean there isn't anything to look at. 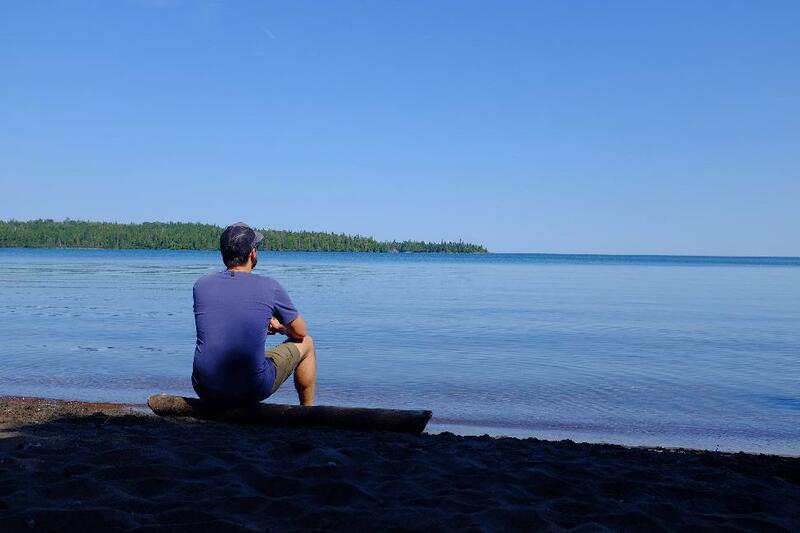 There's the Lake Superior shoreline, dizzying escarpment, wetlands zig-zagged with boardwalks, exposed Canadian Shield, First Nations petroglyphs, old trappers' cabins and so much more. 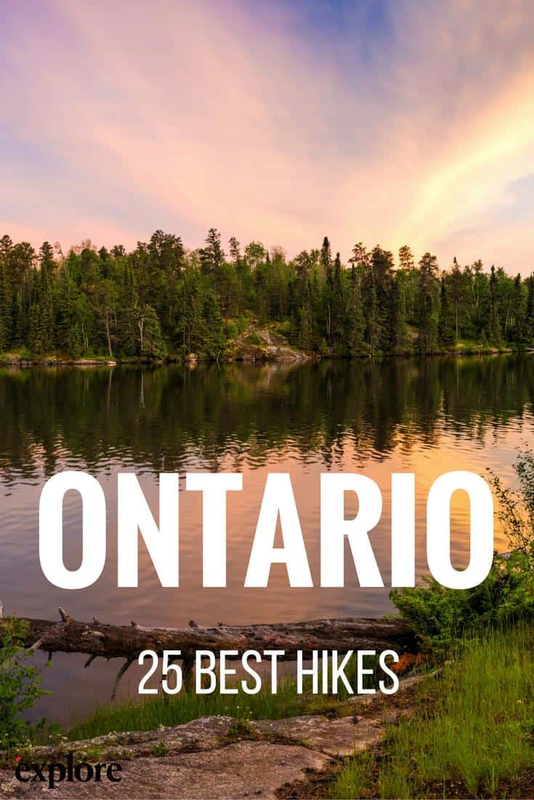 Ontario is a huge province traced with many trails, but we've managed to shortlist 25 of our favourite hikes. Want to see where these rank against Canada's greatest hikes? As with any off-the-grid adventure, venturing into the backcounty can be dangerous. Then, factor in changing weather conditions, wildlife, strain, blisters and fatigue. Bring reliable communications: The trails listed below will lead you through areas of spotty-to-no cell coverage. 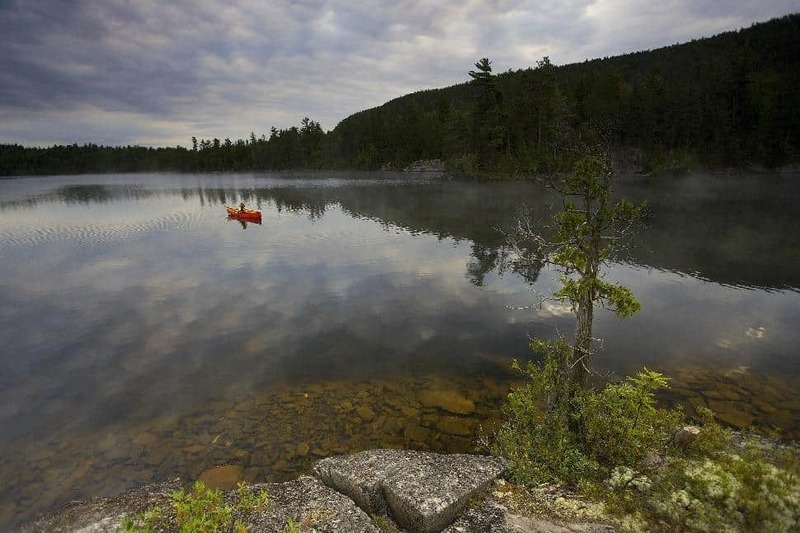 (As Explore Editor David Webb discovered in Sleeping Giant Provincial Park last month!) SPOT Satellite GPS Messengers can send emergency responders your GPS coordinates so that you can easily be located in an emergency. It can also let family and friends know you’re OK when you just want to check in. Better safe than sorry. Pack proper gear, wear layers and reflective clothing. 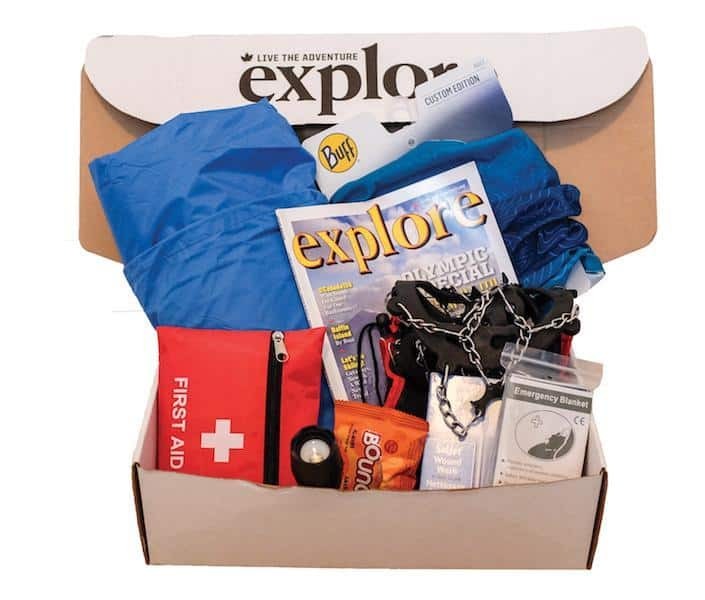 Carry survival equipment and know how to use it. Know when sunset is, especially when camping in the backcountry. Check the weather forecast in advance of departing. Overconfidence rarely serves hikers well. Be realistic about route planning and your fitness. Be wildlife aware. Know what to do in an encounter and how to properly store camp provisions that are animal attractants. Tell someone where you are going and when you expect to return. Parking? Leave a note with your contact information, emergency contact and expected return. New to multi-night hiking? 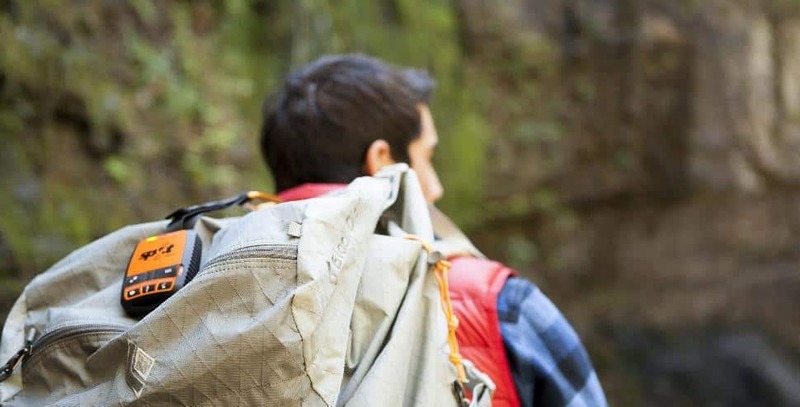 Read our backpacker 101 article. Details: This trail is an extension of the Whiskey Jack Trail (a moderate trail, extending about 2.5 km) and offers sandy beaches surrounded by red and white pine trees. The trail is moderate with some steep climbs. How do I get to the Pines Hiking Trail trailhead? You can access this trail from the Dawson Trail Campground, located on French Lake, in the northeast corner of the park. Details: Maple Mountain is one of the best-known mountains in Ontario, standing 350 metres above sea level (1,150 feet). There is a decommissioned fire tower at the summit. The trail is only 3.2 km long, but this adventure demands adventurous canoe most of the way in. How do I get there Maple Mountain trailhead? Paddle about 40 km from Mowat Landing, through Lady Evelyn River and Lady Evelyn Lake, and onward to Tupper Lake. This route will require portaging over Mattawapika Dam. Find a great write-up of Maple Mountain here. Details: The trail from the lake to the summit is pretty easy to follow, but it is not maintained. The first half is fairly level, but then you’ll get into a moderate climb for the second half. 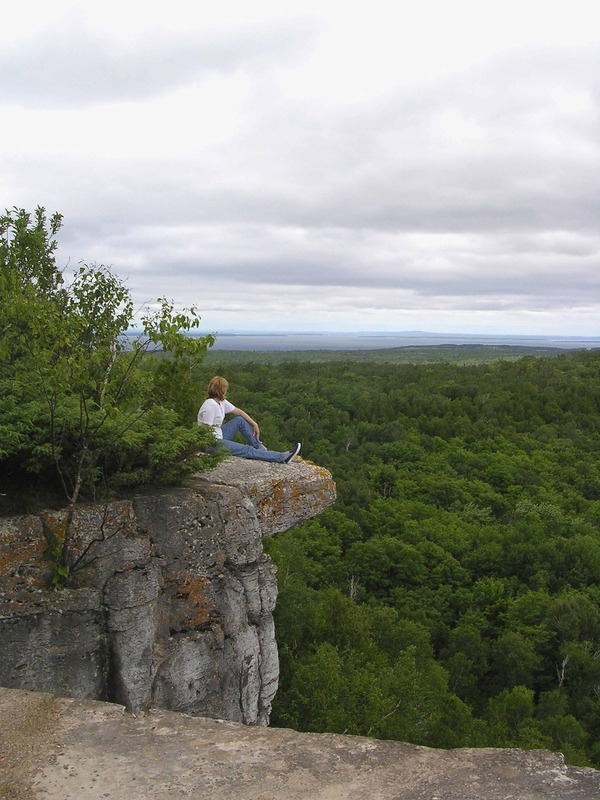 Ishpatina Ridge is the highest point in Ontario, at 693 metres above sea level. How do I get to to the Ishpatina Ridge Tower Summit trailhead? Find an extremely thorough write-up here. Details: This trail traces the Lake Superior coastline, running from Agawa Bay to Chalfant Cove. The linear trail is well marked and those who hike it end-to-end will want to arrange a shuttle pick-up. Along this trail hikers encounter scenic cliffs, cobblestone beaches and plenty of wooded areas. There are several access points (Sinclair Cove, Katherine Cove or Agawa), so you can spend as much or as little time on the trail as you want. How do I get to the Coastal Trail trailhead? Details: Known as one of the most rugged trails in Ontario, your efforts will be rewarded with amazing views, lakes, streams, rolling hills and forest areas. Make camp along the way in any of the 54 trailside sites (permits are required). Keep an eye out for signs of wildlife. How do I get to the La Cloche Silhouette Trailhead? The trail begins and ends at the George Lake Campground. Details: Hikers will have two options to choose from, as seen on the map you’ll get at the trailhead. You can take the White Trail (5.5 km) or the Blue Trail (6.5 km), with a diversion along Adventure Trail (0.5 km.) Depending on which route you choose, the hike can take about 20 minutes or over four hours. But you’ll be rewarded with amazing views of the island’s iconic cliffs. How do I get to the Cup & Saucer trailhead? The trailhead is located at the junction of Highway 540 and Bidwell Road. Details: While hiking this trail, you’ll pass nine different ponds and small lakes, plenty of which are home to resident beavers. The trail winds through sensitive wetland so expect to leave Fido at home. Keep your eyes on the trail—this one can be quite rocky and rooted. Details: Whichever loop you choose, you'll be spending at least a couple days —and at least one night—in the woods. Lakes, rivers, steep climbs, side slopes and sharp turns await you on this adventure. How do I get to the Highland Backpacking trailhead? The Highland Backpacking Trail is located at kilometre 29.7 on Highway 60. The trailhead begins near the well-serviced Mew Lake Campground (near the Bat Lake trailhead).Loop back at Provoking lake if you want the shorter loops. Push forward to Harness Lakes for the 35 km route. Details: This is an interconnected series of trails, venturing through the old growth red and white pine forest. You’ll find a fire tower and viewing platform to extend views of the park. 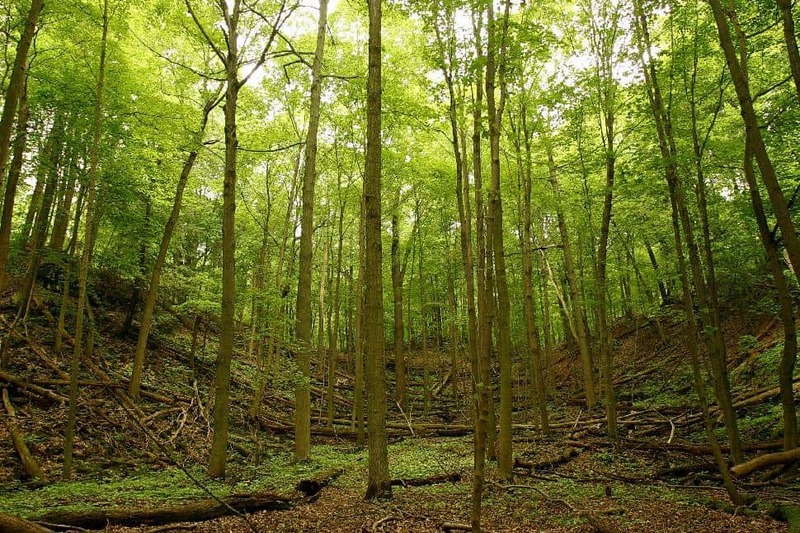 Hiking through this 800-hectare parcel of mature forest is exceptionally scenic. It is also a very special place, with importance in First Nations culture. 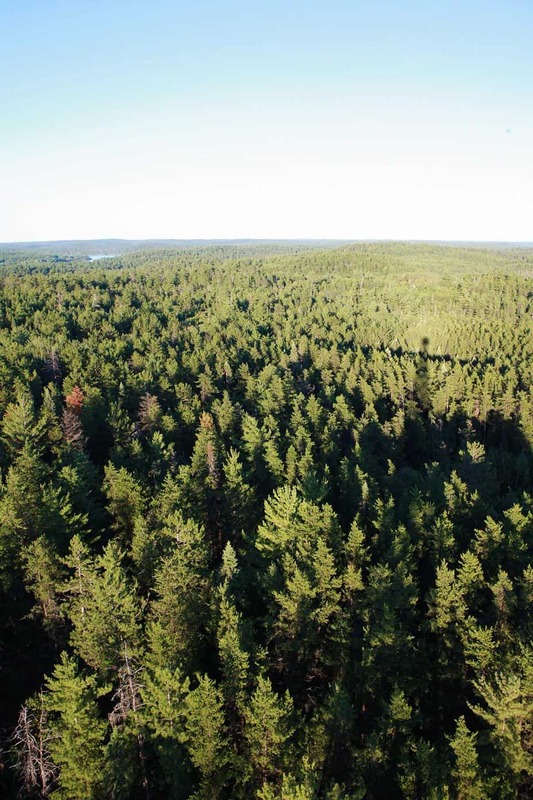 It's also ecologically significant, representing the sixth largest known stand of old-growth white pine forest in a world where there less than one per cent of old-growth white pine remains. How do I get to the White Bear Forest Old Growth trailhead? Access the trail system via Ski Hill Road (off O'Connor Drive) and the proceed to Temagami Trails Chalet, at Caribou Mountain Ski Hill. Park here. Reference this map. Details: Following the shoreline of Lake Superior and hopping from bay to bay, the Casques Isles Trail is well-signed and maintained. Drink in the rugged landscape and pass cultural highlights including old trapper cabins and caves marked with First Nations pictographs. Casque Isles Trail spans 53 km, beginning in Rossport and ending in Terrace Bay. However, it can be conquered in sections. The trail is one section of the much longer (600 km) Voyageur Hiking Trail. How do I get to the Casque Isles trailhead? There are five distinct segments, each of which is accessed from Highway 17: Mcleans (12 km), Schreiber Channel (13 km), Mount Gwynne (6 km), Death Valley (10 km) and Lyda Bay (6 km). See this PDF for more information. Details: The Bruce Trail - Toronto section, is one of the nine legs of the famous 885-km Bruce Trail, the oldest long-distance marked footpath in Canada. There’s an additional 50 kilometres of side trails, and many offer an opportunity to loop back to the main trail. How do I get to the Bruce trailhead? The trail starts just west of Milton, south of Highway 401, and ends near the Cheltenham Badlands, south of Orangeville. Details: The Rideau Trail runs 387 km from Kingston to Ottawa. It can be identified by its trademark orange triangles marking the main trail. The Kingston-bound trail markers have a yellow tip. In addition to the main trail, and side trails will be identified with blue triangles. Rideau Trail can be done in sections, such as the 17-km leg we've suggested, running from from Desert Lake Road to Salmon Lake Road. How do I get to the Rideau trailhead? From Desert Lake Road to Salmon Lake Road, turning left it follows the road with Pearkes Lake on the right, crosses a bridge over Otter Lake and reaches the entrance to Frontenac Provincial Park. See map (trail marked green). Details: This trail is an easy go, leading hikers to a sandy beach and a wetland area. You can lengthen the hike by taking the extension to Finlay Bay. Middlebrun Bay is cool and protected, ideal for swims and beach picnics. How do I get to the Middlebrun Bay trailhead? Enter Sleeping Giant Provincial Park via Highway 587. Heading south, pass the Lake Marie Louise Lake Campground and then continue 1.2 km further. Take a left at the fork and drive another kilometre before reaching the parking lot at the trailhead. Details: Start at the Kabeyun South Trailhead, which leads to the Top of the Giant Trail. Hike (or bike) the flat, multi-use Kabeyun Trail past Tee Harbour to the Talus Lake Trail and continue north on the Talus Lake Trail to reach the Top Of The Giant Trail. (If you biked, you'll need to lock your bike at the start of the Talus Lake Trail.) 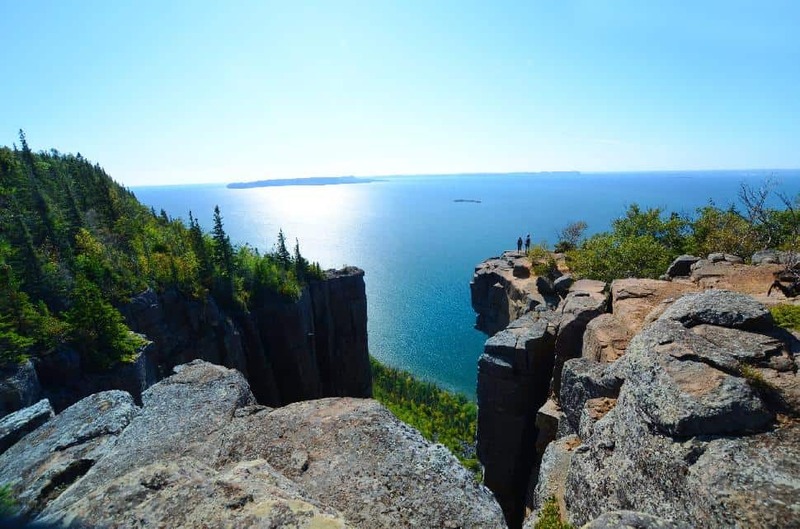 After a steep climb, you'll be rewarded for your efforts with stunning views over Lake Superior from atop dizzying cliffs. You should be in good physical condition to take this hike, bring water, sturdy hiking boots, warm clothes and a first aid kit. How do I get to the Top Of The Giant trailhead? 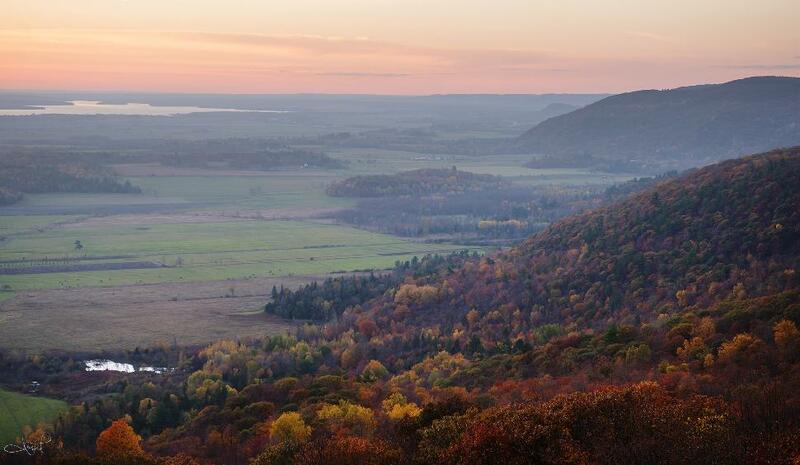 Start this journey at Kabeyun South Trailhead, located off Highway 587 in the southeast corner of Sleeping Giant Provincial Park. 8/4/16: It was an exciting prospect to spend three days exploring Sleeping Giant Provincial Park solo. However, I didn’t count on one thing—and as I drove Highway 587 into the park and watched my cellphone service dissolve into nothing I realized I’d be effectively incommunicado for the duration of my stay. I’d made no provisions for this. Right away, it made check-ins with my wife a bit tricky—but the following day, as I set out on the 22-kilometre Top of the Giant hike, I realized there could be serious safety implications as well. Alone, I had no one to lean on in case of a twisted ankle (or worse). And being deep in the woods, on a relatively crowd-free hike, help would be a ways off. Thankfully, the day went well, with nothing more than a few sore muscles and many great memories at trip’s end. But I should have packed my SPOT Gen3. And next time, I will. Details: Rouge Park is situated in Toronto, and most parts of the park are accessible by public transit. Along the Orchard Trail, you’ll see nature reclaiming the urban landscape. Guided walks are available. How do I get to the Orchard Trail trailhead? 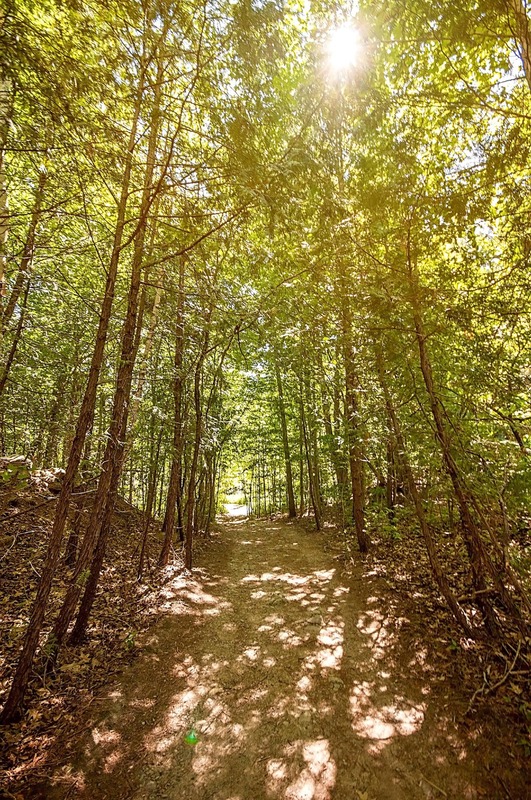 The north trailhead is a 10 minute walk east of the Rouge Valley Conservation Centre. The south trailhead can be accessed from Twyn Rivers Drive. Details: The Ottawa/Temiskaming Highland Trail is ranked as one of the best hiking trails in North America. This is a rugged wilderness trail, with several side trails that have been added over time. Beautiful forests, hilltops views and deep woods make this a hiking experience you won’t soon forget. How do I get to the Ottawa/Temiskaming Highland trailhead? There are several ways to access this trail—six roads and 10 canoe points. Reference this map. With so many access points, the trail can be day-tripped in shorter sections. Details: This trail links the Thames Valley and Grand Valley Trails. You’ll start in St. Mary’s and continue on to Wildwood Lake and then east towards Harrington. The trail is a linear one, and stretches all the way to Conestogo, where it meets the Grand Valley Trail. How do I get to the Avon trailhead? The Avon Trail starts where the Thames Valley Trail ends in St. Mary’s. Details: The Coastal Hiking Trail is a bucke-tlist-worthy hike for the multi-night trekker. 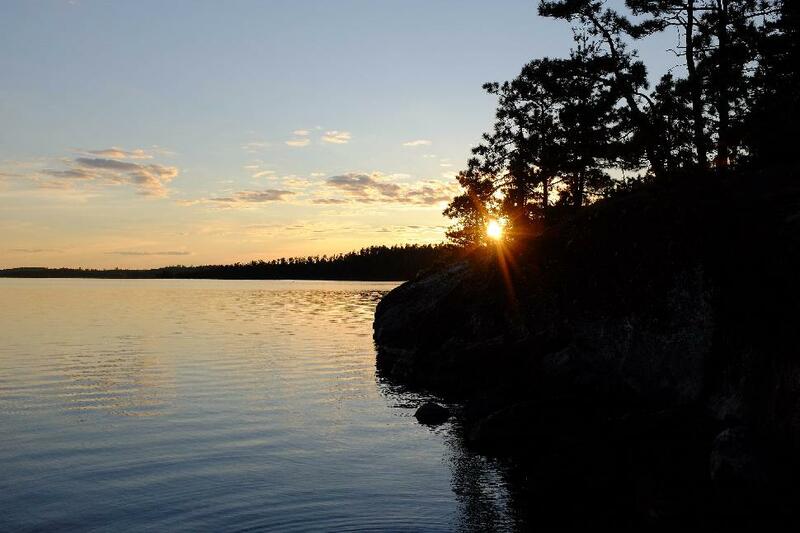 It's 60 km of wilderness hiking and camping located in remote Pukaskwa National Park. 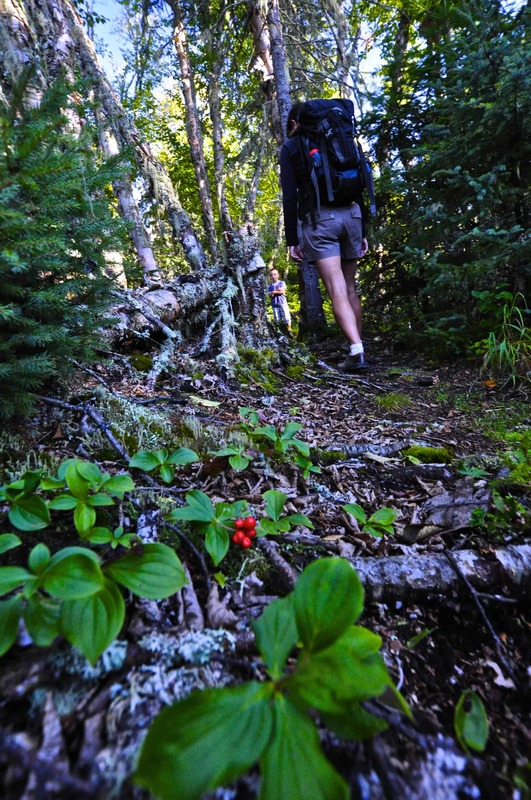 The trail follows the coastline of Lake Superior and hiking on the rugged shoreline can be slippery in wet weather conditions. Hikers will need to navigate stream crossings, cobble beach hiking, inland hiking, and some scrambling. Hikers must register, obtain a permit and attend an orientation before setting out. See the trail link below for shorter trip options. How do I get to the Coastal Hiking trailhead? A two-hour water taxi will take hikers from Hattie Cove to the North Swallow trailhead. Details: This rugged trail will take you through thick boreal forest, wetlands, Canadian Shield, and a stunted jackpine forest. About halfway to the bridge, you’ll arrive at a secluded beach at Playter Harbour. It's a great rest spot to eat before continuing on. This is also a good place to turn back if you don't intend to trek to the bridge. 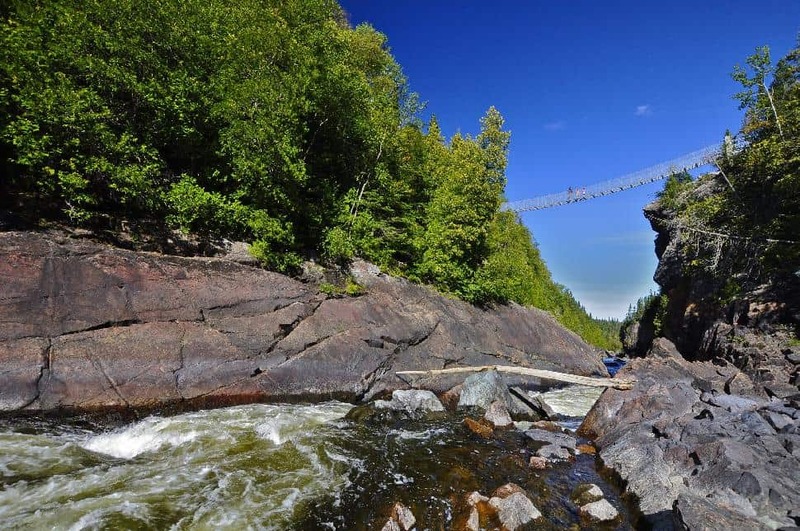 The White River Suspension Bridge is an impressive sight, spanning 30 metres and standing 23 metres above Chigamiwinigum Falls. This is the first leg of the Coastal Hiking Trail. How do I get to the White River Suspension Bridge Hiking trailhead? Follow Trans-Canada Highway 17 to Highway 627. Take Highway 627 for 15 km to Pukaskwa National Park and the Hattie Cove Campground and Day Use Area. Details: This trail leads through varied landscapes. 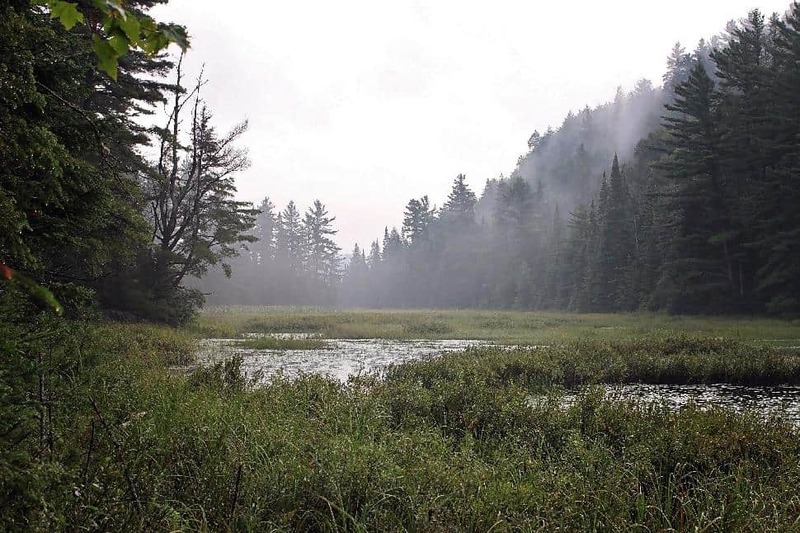 Pass through a wetland that is home to beavers, a hardwood forest, and moss-covered terrain. Stop to appreciate the views of Long Bay that Dossyonshing Trail affords. How do I get to the Dossyonshing trailhead? The trail is located on the north end of Beausoleil Island, in Georgian Bay Islands National Park. Access Dossyonshing Trail by first hiking along Huron Trail and then Rockview Trail. See this map. Georgian Bay Islands National Park is located about two hours north of Toronto and is composed of 63 islands—accessible only by boat. Bring your own boat or kayak, take the DayTripper or a water taxi and let the fun begin. The DayTripper launch point is at 2611 Honey Harbour Road, Honey Harbour. Details: Starting on the south end, you’ll walk through mature forest characterized by beech and maple trees, then skirt a glacial drumlin before heading back into a stand of hemlock. Bikes are permitted. How do I get to the Huron trailhead? The trail is located on Beausoleil Island, in Georgian Bay Islands National Park. The park is located about two hours north of Toronto and is composed of 63 islands—accessible only by boat. Bring your own boat or kayak, take the DayTripper or a water taxi and let the fun begin. The DayTripper launch point is at 2611 Honey Harbour Road, Honey Harbour. Details: Beautiful deciduous forest, great views of Georgian Bay, trilliums and birdwatching await you on the Bluff Trail. Go in fall for spectacular autumn colours. Bluff Trail a circular 13 km route with little in the way of elevation gain. Its rating simply comes from its length. Side trails within the park offer a chance to extend this hike. How do I get to the Bluff trailhead? There are several access points to this trail, throughout the park. Specifically, Bluff Trail intersects Awenda Park Road in two spots. Details: In its entirety, Ganaraska Hiking Trail runs 500 km, from Port Hope until it intersects with Bruce Trail near Collingwood. 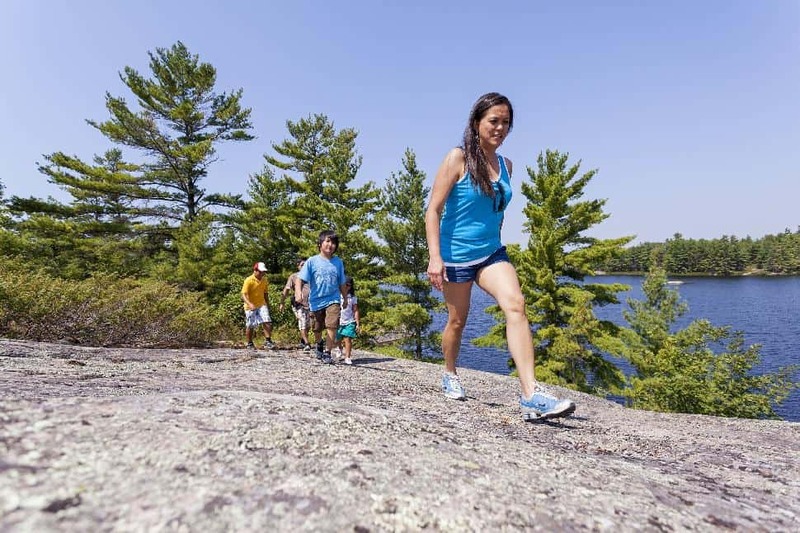 The trail is sectioned into eight legs: Pine Ridge (63 km), Kawartha (75 km), Wilderness (65 km), Orilla (70 km), Barrie (50 km), Wasaga Beach (51 km), Midland (35 km) and Oro-Medonte. The 37 km Devil’s Lake to Victoria Bridge portion falls within the Wilderness section. This is a remote and rugged part of the trail as most of it runs through Queen Elizabeth II Wildlands Provincial Park. Be aware of black bears and ensure you are well-prepared for this hike before you go. How do I get to the Ganaraska trailhead? You can reach this trail by travelling about six km along the Deep Bay Road (County Road 2) north of Moore Falls, and then turning left on to the Devil’s Lake Road. There is ample parking at the landing at Devil’s Lake. While we recognize Gatineau Park is in Quebec, the Wolf Trail hike is a part of the National Capital Region and easily accessed from Ottawa. Moreover, it is a trail we consider too good to not include in our round-up! Wolf Trail is a favourite within Gatineau Park, offering awesome views of the Ottawa River and the Ottawa Valley. The route is steep and wooded, ascending hikers up the Eardley Escarpment. How do I get to the Wolf trailhead? Wolf Trail is in Gatineau Park, in Canada's Capital Region, beginning at Blanchet Beach on Meech Lake, parking lot P-13. The trail is #16. 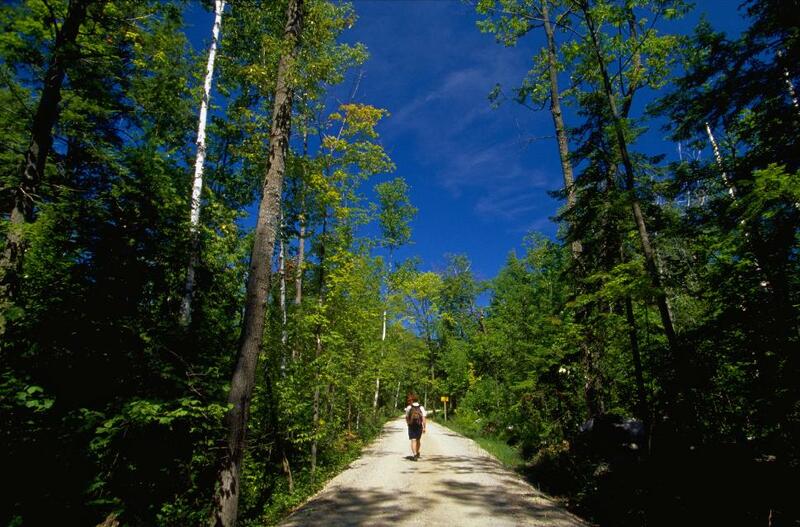 While we recognize Gatineau Park is in Quebec, the Champlain Trail hike is a part of the National Capital Region and easily accessed from Ottawa. Moreover, it is a trail we consider too good to not include in our round-up! The Champlain Trail is at the top of the Eardley Escarpment, and the trail provides signs where you can learn about the native flowers in the area. How do I get to the Champlain Trail trailhead? 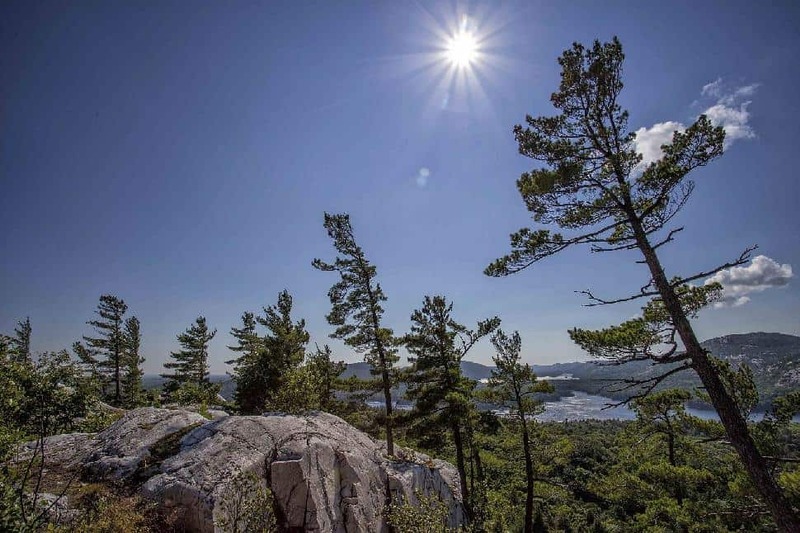 Park at the Champlain Lookout (at the top of Champlain Parkway) and begin your hike. 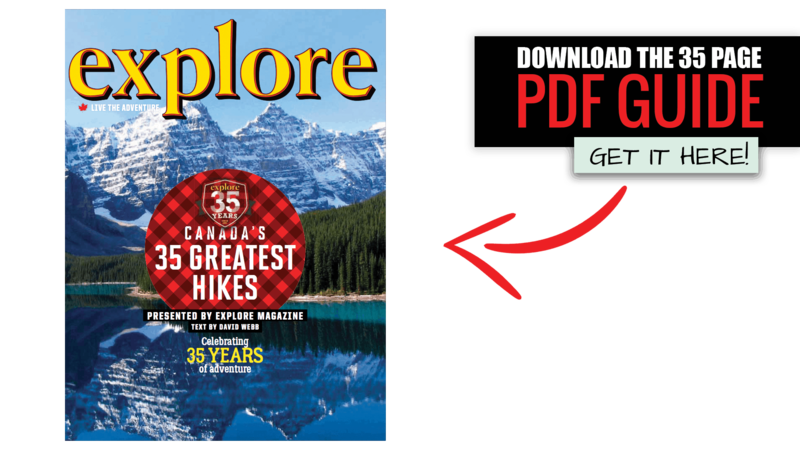 Are you an avid Ontario hiker? Tweet us or comment below to join the conversation! This article was brought to you by Globalstar Canada Satellite Co, distributors of SPOT Gen3, SPOT Trace and SPOT Global Phone. SPOT will keep you connected to the people and things that matters most, including emergency services, using the world's most modern satellite network. For peace of mind wherever trails lead you, including beyond the cellular grid, pick up a SPOT satellite device. Be prepared for your next off the grid hike... grab a SPOT device. Visit findmespot.ca for details. PS. Did these 25 hikes inspire you to get outside and explore more? 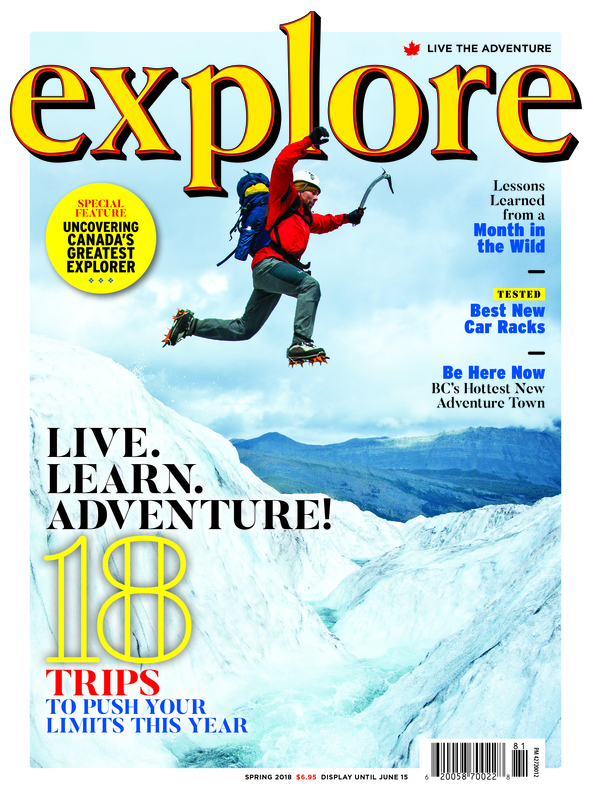 For the ultimate adventure inspiration, join explore magazine’s “Live the Adventure” Club. 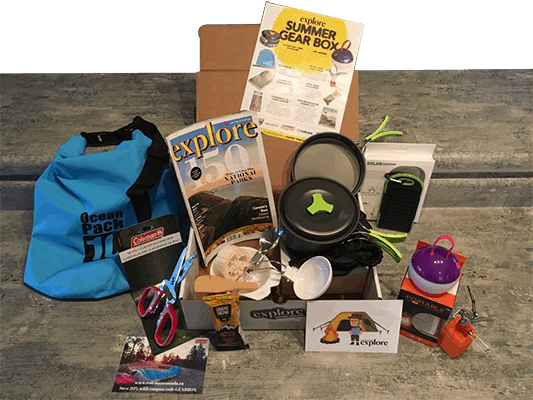 With thousands of dollars’ worth in gear, prizes, exclusive interviews with experts, outdoors advice and a private Facebook community to share all your adventures, it’s no wonder explore’s LTA Club has over 3,000 subscribers across North America.